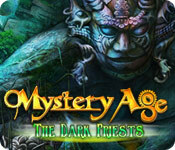 Mystery Age: The Dark Priests is rated 4.2 out of 5 by 32. Rated 5 out of 5 by crisgori from Loved it Nice graphics, well done HOS, interesting puzzles, good length and chance to use your memory skills. The only complaint are the sparkles for the HOS even in advanced mode. Rated 5 out of 5 by cbilbo from Harder than I expected I really enjoyed this game. At first I didn't expect this game to present much of a challenge. As the game progressed, I was proven wrong. The hidden objects and fragment objects were well hidden. Some were in just plain sight. There was a handful that I wasn't able to locate without utilizing the hint button...which frustrated me to have to use. One good thing is the hint button recharges fast. Lighting instead of sparkles indicated where to work on the hidden objects and fragmented objects. Otherwise you have to search for objects in the game. The puzzles were pretty simple to figure out. In all, this was a great game. The graphics were bright and colorful. In all this was a beautifully crafted and challenging game. Rated 5 out of 5 by rosekaufmann from AWFULLY FUN AND ENTERTAINING Beautifully crafted adventure story. About 6 hours. Nice combination of HOS and FRAGS in bright, brilliant colors – nothing drab anywhere in the scenes. Cute animation – for amusement, click on a few things that you think might have a reaction. Different music for outdoor and indoor locations. Your journal includes your discoveries as well as your tasks, frequently with a picture of the items needed and how to put them together to complete a task. Very polished and finely-tuned gameplay. Quite challenging. Layout is easy to keep track of locations, which eminate from a central location. Many outstanding tasks at any one time, but they’re easy to keep track of because your activities are geared to their solution - no meaningless traveling or unnecessary steps to unnaturally prolong the game. You may find an object which will help you complete a task, but not find the other needed objects quite a bit later. Awfully fun and entertaining. Rated 5 out of 5 by VENICELOVER from Stunning scenes, great play! This game was a total surprise. Many levels with stunning scenes, great sound, graphics, etc. Loved that the HOS were varied from finding items to assembling items. Keeps you on your toes going back & forth to figure out what to do next. Challenging puzzles. A must get for everyone! Rated 5 out of 5 by TeddyofStGiles from Much better than expected The first Mystery Age was ok if a little slow so I tried this demo and fortunately was teased enough to buy. An excellent mind exercise because they have not put in a map so you need to really think about where you have been and where you need to go. No spoon feeding which is a lovely change. The graphics are pleasantly fairy tale and as you revisit scenes several times there is enough going on to maintain the interest level. Don't forget to click anything that looks like it might move because it probably will - a lovely witty touch. It really makes you think - 'why do I need to know that' which only becomes apparent several levels later. I never find the music varied enough but this was ok and I would like visuals to be a little lighter for those of us without 20/20 vision but now I'm being picky. It took me much longer than anticipated to finish and I had to come back to it quite a few times which was a wonderful change. I'm looking forward to playing this again. 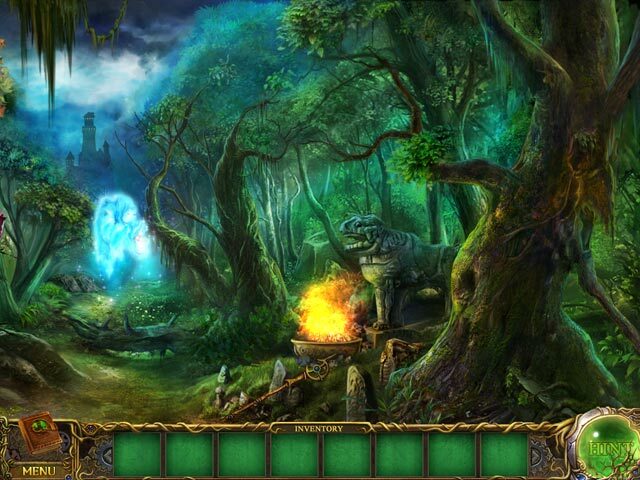 Rated 5 out of 5 by franitfc from mystery age : the dark priests very challenging game not your run of the mill hidden objects but various challenges throughout , graphics are stunning beyond belief, took me 7 hours to complete this game ,i found i could not leave it alone as it drew me in ,beautiful game i recommend this to anyone . Rated 5 out of 5 by beachmike from An awesome adventure! Funny how some of the lesser known games turn out to be the very best. I've played all the popular "hyped" games and this one is at the very top. The graphics are colorful and stunning with many locations to visit. A good mix of HOS and puzzles (not too many of either) which were a fair challenge, and a long game at that. Many beautiful locations to visit with lots to do. A good hint system and a wonderful story which leaves you feeling good at the end. This was a great adventure. 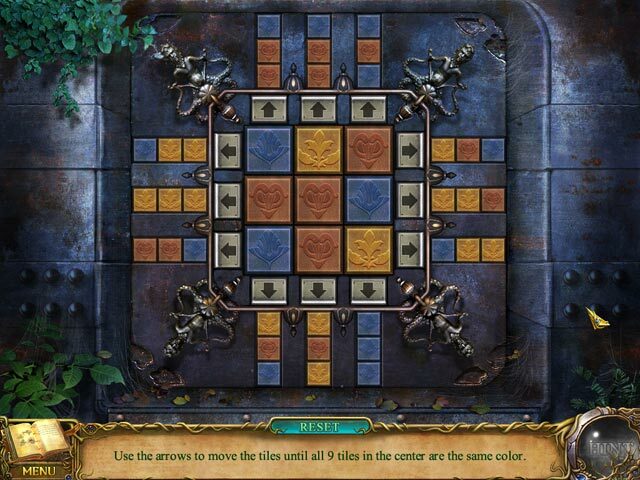 Rated 5 out of 5 by Heather_G from Exceeded Expectations I bought this game hoping for an enjoyable hidden object game but not expecting anything special. The story didn't grab me especially, but aside from that it was much better than I expected. The locations are beautiful with clever animated bits--touch everything! The music was quite nice--this coming from someone who usually runs madly for the music mute soon into each game. A lot of care went into the production. It ran beautifully, even on my somewhat vintage PC, which is always a plus. I liked it well enough to look up who made it, and found two other titles by the same company that I've already played and liked very much: Mystery Age: The Imperial Staff, and Shaolin Mystery: Tale of the Jade Dragon Staff. Although the developer is in China, the text translation to English was flawless. Really a neat, solid, fun game. I'll be watching this team for more games in the future. Rated 5 out of 5 by lyssa7712 from there's something for everyone in this game! I have to admit, I did the trial on this when it first came out. I wasn't too impressed - I only recall seeing FROGs in the demo, and that's not my first choice of game. I put it on my "probably later" list, and promptly forgot about it. it popped up in my "games you may like" and I went ahead and purchased. there is so much more to this game than FROG scenes. 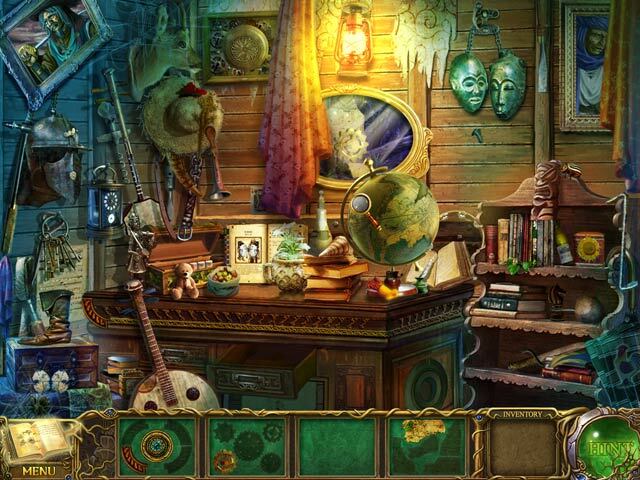 you will also encounter the classic hidden object scene, as well as "find 10 whatevers". even when revisiting the same scenes, I don't recall being asked to find the same thing again. there were enough puzzles tossed in to keep things fresh, but nothing super difficult. for the most part, inventory items were used in a logical manner - no sawing a wooden pole in half with a piece of string. bring your sneakers, there is a great deal of traveling around. if you can't figure out what to do next, go revisit every area you've hit so far, you never know when a sparkly scene will give you what you need. I wish I would have bought this much sooner!